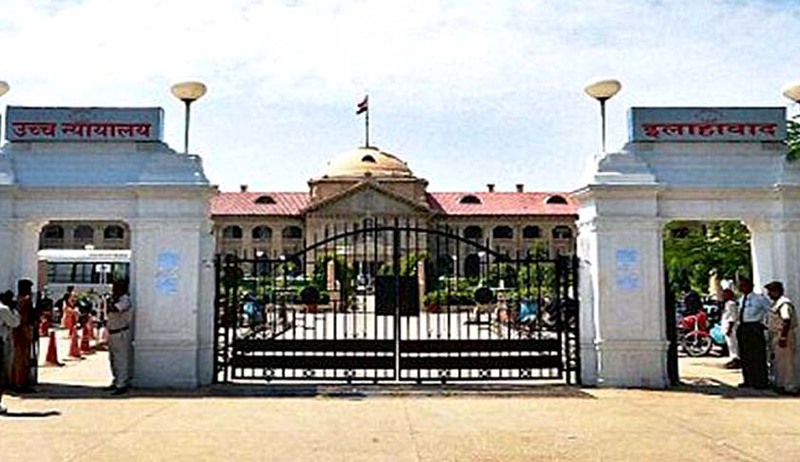 The Allahabad High Court in Sher Singh @ Sheru vs. State of UP dealt with the issue of claim of juvenility raised by the accused when proceedings were underway. The Bench comprising Justice VK Shukla, Justice Ramesh Sinha and Justice Bharat Bhushan decided that the right of an accused to raise the issue of juvenility cannot be denied by dismissing the writ petition as infructuous and, in case the writ petition in question has been filed though wrongly, the issue can be raised in a criminal appeal even though the same has been raised before the Juvenile Justice Board. In this case, the accused (appellant-petitioner) was caught for kidnapping a three-year-old and claimed entitlement to the benefit of being a juvenile under the Juvenile Justice (Care and Protection of Children) Act, 2000, read with the Juvenile Justice (Care and Protection of Children) Rules, 2007, framed thereunder. He moved an application for juvenility on 05.09.2005, which was rejected. Four years since, another application was moved to the Sessions Court on 19.09.2009, which again was rejected. An appeal against this judgment made by the accused under section 52 of the Juvenile Justice (Care & Protection of Children) Act, 2000 (or ‘the Juvenile Justice Act’) on 19.09.2011, was dismissed after the observation that no appeal was made against the first application of juvenility (05.09.2005). This gave rise to the writ petition that was dismissed as withdrawn treating it to be infructuous but with an observation that the right of the petitioner to raise the issue of juvenility shall not be affected in the present appeal. A division bench that had heard the appeal passed an order, whereby, it noted the accused’s counsel’s submission that the appellant (accused) was juvenile at the time of occurrence in question, so this matter be referred to the Juvenile Justice Board, Mathura, for ascertaining his age. The report sent by the Juvenile Justice Board held that the accused was under 18 years of age at the time of incident. Section 49 of the Juvenile Justice Act, 2000, accounts for the method of determination of age and the UP Juvenile Justice (Care and Protection of Children) Rules, 2004 (Rule 22), provides the procedure to be followed for determination of age. Matriculation certificate is specified as a conclusive proof of age in the aforementioned provisions. Section 7A of the Act provides that a claim of juvenility may be raised before any court and it shall be recognised at any stage, even after final disposal of the case. Relying on the apex court’s decision in the case of Ashwani Kumar Saxena vs. State of M.P., the high court held that the procedure to be followed under the Juvenile Justice Act in conducting an inquiry is the procedure laid down in that statute itself i.e. Rule 12 of the 2007 Rules. The court also deprecated the practice of the courts in making a roving inquiry with regards to the correctness of the date of birth entered in matriculation or equivalent certificates or other documents unless those documents or certificates were fabricated or manipulated. Another important case relied upon was Anil Agarwal and Anr. v. State of West Bengal, whereby the high court directed the trial court to first examine the question of juvenility and in the event, the trial court comes to a finding that the appellants were minor at the time of commission of the offence, they be produced before the J.J. Board for considering their cases in accordance with the provisions of the 2000 Act. Whether the right of a juvenile to raise the issue of juvenility can be denied, by dismissing a writ petition as infructuous and then permitting him to raise the issue in a criminal appeal when the same issue had been raised before the Juvenile Justice Board and an appeal had been decided in accordance with Section 52 of the 2000 Act as in the present case, on applying the doctrine of finality? Ans. The right of a juvenile to raise the issue of juvenility cannot be denied by dismissing the writ petition as infructuous and in case the writ petition in question has been filed though wrongly, the issue can be raised in criminal appeal even though the same has been raised before the Juvenile Justice Board and an appeal has been decided under Section 52 of the 2000 Act, once it is demonstrated before the court that the issue of juvenility has not been answered on the parameters of Rule 12 (2) (Juvenile Justice Rules, 2007). Whether law laid down by prescribing a procedure of allowing the question to be raised in a criminal appeal as an alternate substitute through a miscellaneous application under the judgment dated 13.10.2014 by the learned Single Judge is correct or not? Ans. Once the issue of juvenility has not been decided on the parameters of provisions as are contained under Sub-Rule 3 of Rule 12 of 2007 Rules, then such an issue can be examined by the competent criminal court either on its own and even on a miscellaneous application being moved. Whether in view of the law laid down by the apex court, particularly in the case of Abuzar Hossain @ Gulam Hossain and Abdul Razzaq Vs. State of U.P., the issue presently raised, would also stand covered by the ratio and the observations made therein or not? A claim of juvenility may be made at any stage of the trial (even after disposal) and delay in raising the claim cannot be a ground for rejection. The one claiming juvenility has the initial burden of proving so and must produce material evidence which convinces the court to order an inquiry. If documents presented as evidence prima facie inspire confidence of the court, the court may act upon such documents for the purposes of Section 7A and order an inquiry for determination of the age of the delinquent. Thus, the court held that the abovementioned facts were applicable to the present case as well. After careful examination of the facts presented, the bench decided that the “appeal shall now be placed before the appropriate bench according to roster for disposal in light of this judgment”.